‘According to Roman Legend, When Adonis died, Venus wept uncontrollably. Th tears rolled down her cheek and dropped to the earth turning into heart shaped strawberries.’ Just one of the many fantastical stories strawberries have inspired. Though many are myths plenty are tre, as in the origin of the strawberry shortcake we know today. 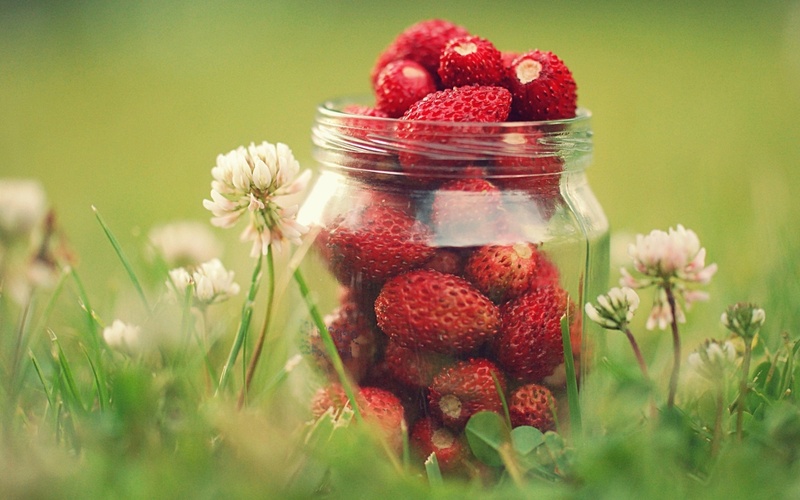 American Natives were already eating strawberries when Colonists arrived. They would crush the berries and mix them with cornmeal to bake into a strawberry bread, after trying this Colonists developed thier own version, which we still enjoy today. Being one of the few berries to grow wild on most continents the strawberry has been in our history nearly 2,200 years. The first cultivation of the berry was in France during the late 18th century. Since then we have grown to nearly 600 varieties and produce one billion pounds out of California alone. A rich history in myth and reality the strawberry is a precious berry that breaks the winter season and marks the begining of the fruit harvest period. This entry was posted in Uncategorized by kretzje. Bookmark the permalink.